WWF France is saying “STOP” to Montagne d'Or, an industrial gold mine project that is planned for construction in the French Amazonia. To influence opinion on the project, which is currently the subject of a public debate in Guyana, we helped WWF France team up with production company Frenzy Paris, film director Thibaut Grevé and young French footballer, Ibrahim Cissé to launch the #StopMontagnedOr campaign. Montagne d'Or could become the first industrial mine in French Guyana, and by far the largest gold mine in France. Beyond the disastrous impacts for the environment, and the many associated industrial risks, WWF France has shown that this mining project is a nonsense for the development of Guyana and a sinkhole for taxpayers' money. Over several months our team in Paris rallied our multiple skill sets from across the agency (from production and editorial to social intelligence) to help WWF France identify an original way in which to challenge the vast dimensions of the Montagne d’Or project. 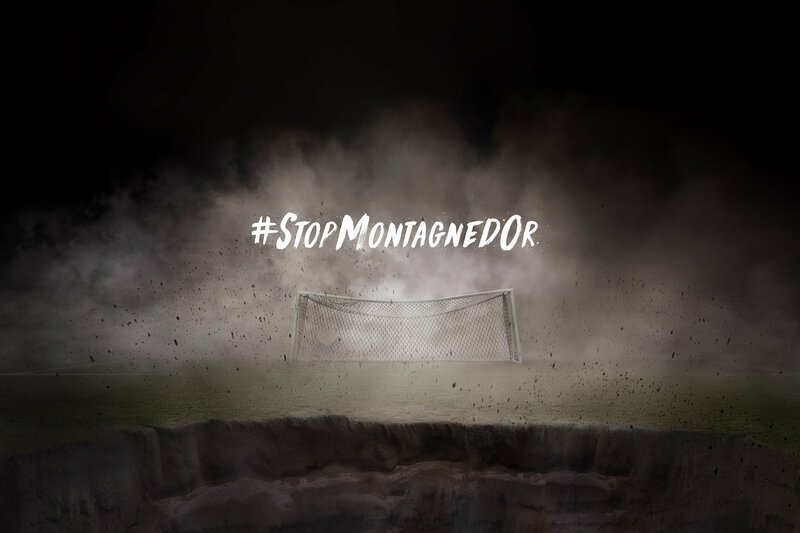 Through the #StopMontagnedOr campaign and a short film starring Ibrahim Cissé, we presented a disaster scenario that comes to life on a football pitch. This is because the gold extraction will involve 57,000 tons of explosives, 46,500 tons of cyanide and 195 million litres of fuel to destroy 1,513 hectares of forests - about the equivalent in size to 2,161 football pitches. 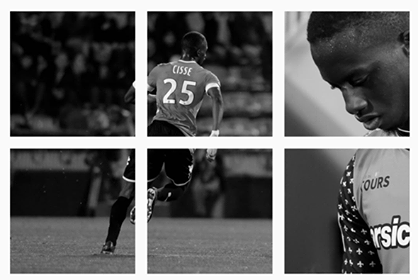 Creation of Instagram account of Ibrahim Cissé (https://www.instagram.com/iamibrahimcisse/) with a strong creative bias to gain legitimacy with the target of football, sport and pop culture. We accompanied the visuals with quotes related to football and sport and their shared values (performance, challenge and surpassing oneself). Production and realisation of an aesthetically beautiful, breathtaking and unifying film thanks to the work of our partners Frenzy, Mathematics and The. Development of a mapping around environmental and football topics to prepare the broadcast of #StopMontagnedOr during a multi-day war room to create a real movement around the project on social networks. Sending a PR kit to about 50 journalists and influencers to raise awareness and rally to WWF’s cause. 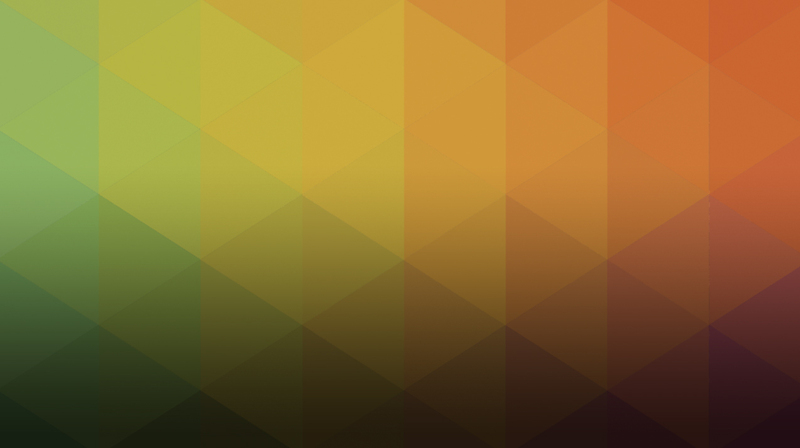 The central element of the campaign, revealed in preview by Ibrahim Cissé on his account, was the two minute long hero film which after only four days received nearly from 400,000 views and achieved an estimated organic reach 16 million - of which more than 10 million came from Twitter. The first seconds of the film were designed to lead viewers to expect yet another advertising campaign for a sports equipment brand. It shows Ibrahim Cissé, who seems focused and ready to take up a challenge, and as he starts running on a football pitch at night he crosses a first field, then a second, then third. As his sprint progresses, he is confronted with various elements in the fields: a flood, then obstructions in the form of mining equipment, then falling trees. He keeps on his course, braving all obstacles, including explosives and wild animals, before finally collapsing on the ground beside a large crater, completely out of breath and exhausted.